Sleep from 2-Man Cypher has never fallen short on creativity. He has done songs narrating from the perspectives of different individuals. He has even done tracks from the outlook of the devil. And with his latest EP, Branded, he takes creativity to a whole new level. 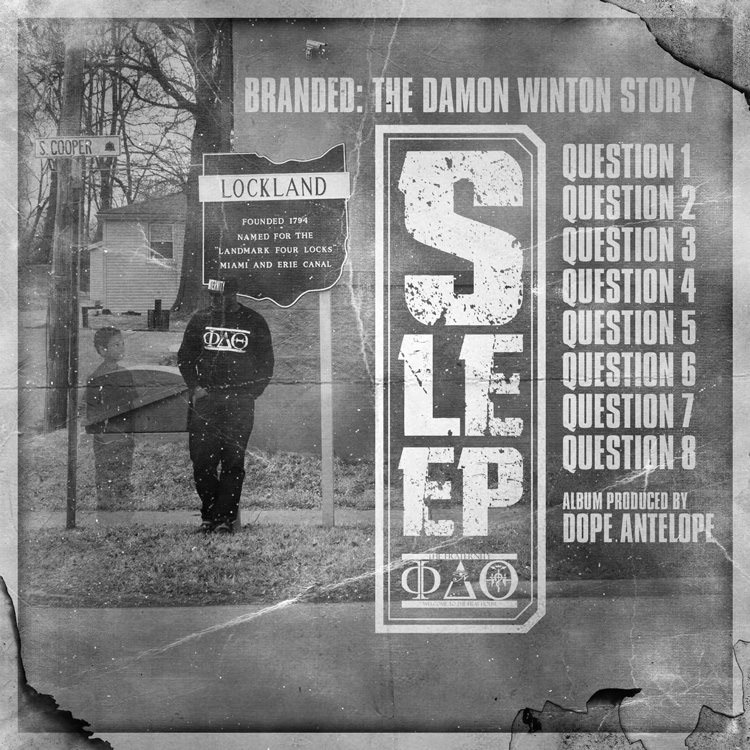 On this EP, Sleep, takes on the persona of the tragic story of Damon Winton. The story is real, making this EP biographical in context. Branded is the tale of a troubled youth that is abandoned by the system and family that was supposed to protect him. Each song is introduced by a question from a reporter to the social worker in charge. After the social worker answers the reporter’s question in dubious fashion, Sleep narrates a tale from the perspective of Damon. It is incredibly powerful, because this is real life. These are things that happen to children on a daily basis.